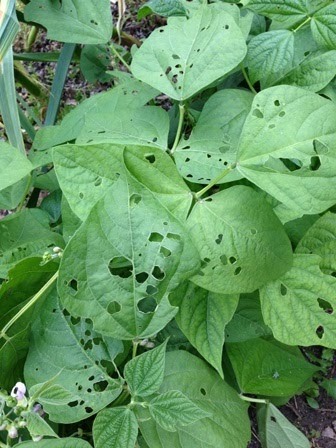 Many veggie gardeners notice sizable round holes in their bean leaves in May and June but can’t see any obvious pests. 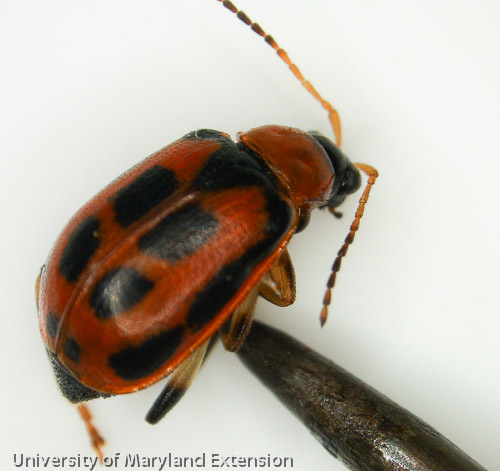 The feeding pattern is much different from Mexican bean beetle, a more significant pest. Two prime suspects are adult bean leaf beetles and Oriental beetles. To find these leaf chewers you have to look early in the morning or from dusk to dark. The bean leaf beetle is a very small native beetle- 4-5 mm in length- and colorful with distinct black spots. Overwintered adults emerge in April and start feeding on legumes like early beans and crimson clover, though they prefer soybean. There are two generations per year. Oriental beetle is a non-native and has just one generation per year. It emerges later in the spring than bean leaf beetle and has a wider host range. 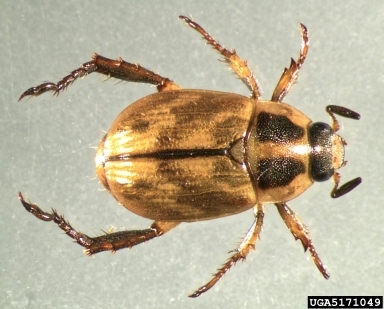 There are other beetles, including chafers (white grubs are larval form), that also chew holes in bean leaves. The good news is that healthy bean plants can take 20% defoliation without a drop in yield. In most cases you can just ignore these voracious beetles.